Remember, all data of the same type should share the same class! If you want to change a volume’s class, select it, then choose the right one in the details panel. 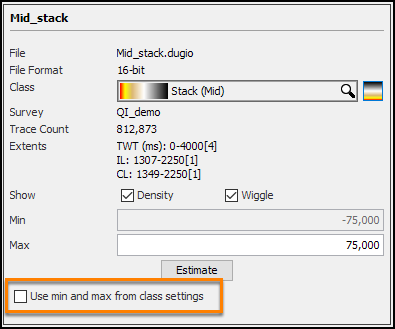 If the class is correct, but the display range is wrong, you’ll need to update the value range for the class. 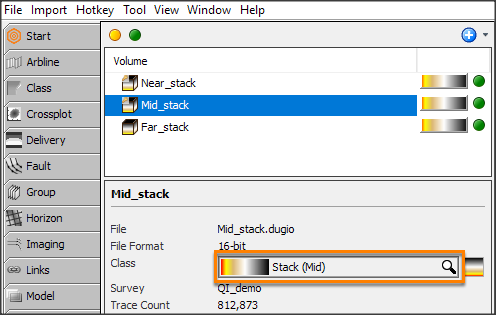 Tip: Quickly open the class settings by clicking on the mini-colourbars found in the volume list and the details panel! 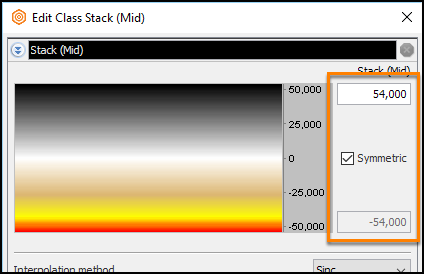 On the right side of the colourbar, you can see the display range for the class. 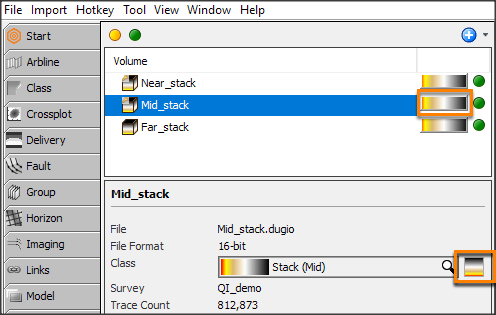 The display range affects everything using that class, including well logs, horizons, volumes, and process results! 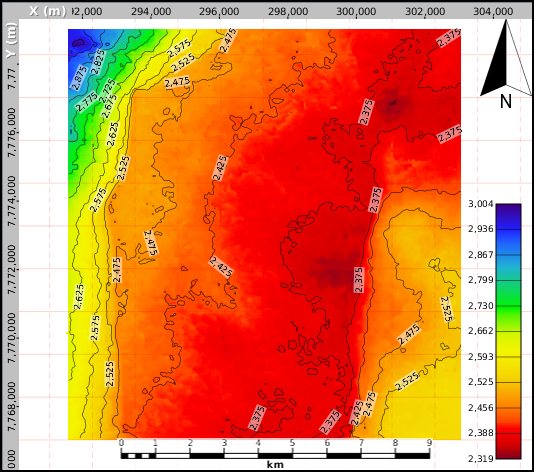 The symmetric check box is handy for seismic and other zero-mean data. 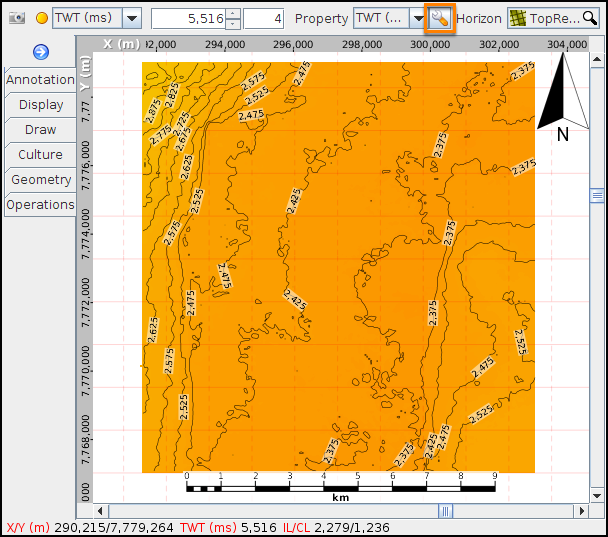 When checked, the minimum value is automatically set to the negated maximum (i.e. -1 * maximum).If you want to set the minimum by hand, uncheck this box! 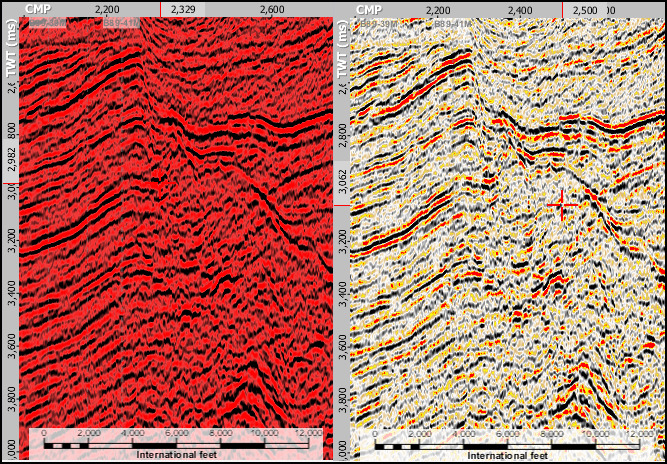 Sometimes you’ll have a dataset that’s a little bit special and has values completely different from the others (vintage 2D seismic, anyone?). In this case, you’ll need to override the range set by the class. When you uncheck the “Use min and max” box, you’ll see range controls for this one volume. These range values are used instead of the ones from the class. Finally, if you don’t know the range of the data, smash that Estimate button and Insight will quickly scan the values to find a useful range! Brilliant! That estimate button isn’t just for volumes. It comes in handy when working with horizons too. Here’s a case where the detail in this horizon is lost because the class range is too wide. 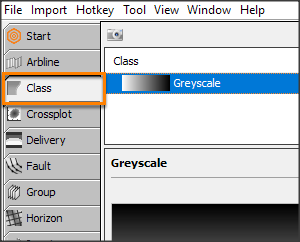 The custom range for horizons is found by clicking the Tool button. The horizon display window appears, with the same “Use min and max” checkbox as before. Uncheck that box, and hit the Adjust button to get the range. Now that’s a classy looking display!